Home INFOBITES	Why Do Dogs Like To Play Fetch? Besides food and plenty of loving attention, if there’s one thing most dogs love, it’s a game or two of fetch. This high-energy game can be spotted in parks up and down the country, with dogs large and small. But why do dogs like to play fetch? Let’s find out! Many dogs, including Labradors, were specifically bred to retrieve certain items for their human owners. Even now, that means that many dogs still have this in-built disposition to chase after objects, pick it up in their mouth and bring it back to you. This feature has been an ingrained part of being a dog for literally tens of thousands of years. Humans first set about domesticating canis familiaris (that’s a family dog to you and me) at least 15,000 years ago, where they were trained to help hunt and retrieve food for the human family. The dogs that were good at these retrieving tasks were the dogs who were picked out to breed and pass down their skills to their puppies. Those puppies would then pass their inherited skills down through their family tree. 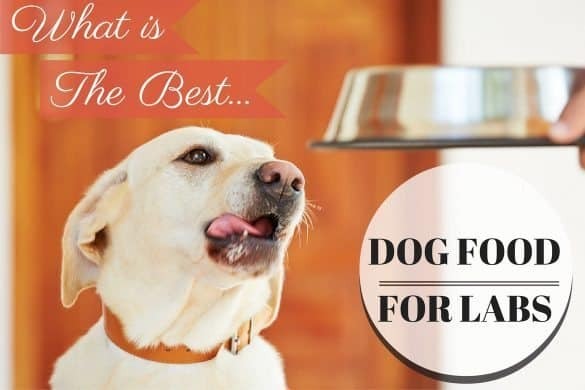 While it’s unlikely that your family send your Lab out hunting for food like we did in the past, your pup will still have inherited some of the retrieving skills passed down by their ancestors. And, of course, chasing and retrieving are two of the components of a successful game of fetch! Thanks to this inbuilt disposition for chasing and retrieving, many dogs are likely to get hooked quickly when they’re first introduced to fetch as it’s something that they’re already naturally good at. So, when you play fetch with your dog and you notice how much they’re enjoying themselves, that’s because they’re able to show off their ingrained capabilities. We’re simply letting our dogs do what they do best when we play fetch. Unlike behavioral training, say, where most dogs will start without any knowledge or skill on how to respond to your commands, fetch allows them to flex their skills and be praised while doing it. Additionally, it’s a great form of exercise for your Lab and – just like with humans – their brain will release a dose of feel-good hormone Serotonin while they exert themselves. This makes them feel good and will naturally encourage them to keep playing. Of course, underscoring everything is the fact that fetch provides some quality time for you and your Lab. Enjoying extended play time with their owner as they get to chase after Frisbees and sticks really is a dream come true for many dogs. Unlike games of tug-of-war or even training, fetch requires less energy from you, the human, so you can playfully engage with your Lab for as long as you like and until they get tired. Fetch is an interactive game that encourages the bond between human and dog, cementing your position as the ‘alpha’ as you command your dog to retrieve objects for you. Most people tend to play fetch when they’re out at the park, so you can combine this fun, active game with a long walk, or even with a couple of additional training exercises if your Lab is feeling particularly on the ball. Why do dogs love to howl at a siren? Why does a dog chase their tail? 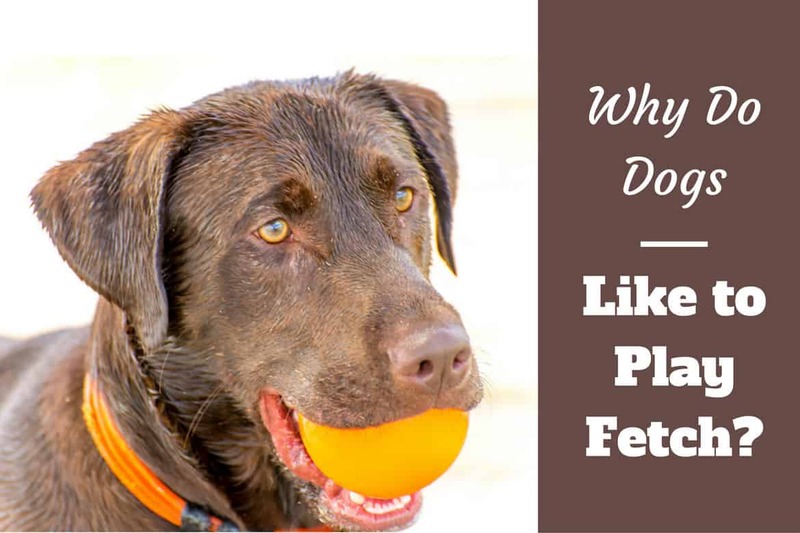 What if My Dog Doesn’t Fetch? Don’t worry if your Lab is yet to show any interest in a game of fetch. Not all dogs will naturally be inclined to chase an object you’ve thrown away and some will just not be interested in this type of retrieving game. Sometimes dogs just don’t ‘get’ the point of fetch – ‘why has my human thrown that stick?’ they might be wondering! Others will be happy to chase but won’t retrieve, or will retrieve but only bring the object part of the way back. Occasionally, there might be a physical problem holding your dog back from fully participating in the game. Puppies that are teething or older dogs with teeth or jaw problems may find that it hurts to pick up and grip something in their mouths. Dogs suffering from any leg injuries are unlikely to be able to chase effectively too. If you can rule out these physical ailments, however, you should be able to train your dog to play and enjoy fetch. It’s certainly worth it: fetch is a great way to exercise and an easy way to bond. Firstly, you need to actually test out whether your pup has any inclination towards fetch or retrieving at all. You can do this by dangling an object, like a ball, toy or stick, in front of your pup’s face for a few seconds, sparking their interest in the object. Once you’ve caught their eye, toss the object a short distance away from your dog and wait to see if they try to chase and catch it. If they do, that’s great news – it should be easy to train them to chase and retrieve over longer distances and in different locations. If they’re hesitant to chase or just not interested in the object, spend a bit longer next time getting them interested before you toss the object. If they’re still reluctant to fully engage with fetch, try mixing it up with different toys, including Frisbees, tennis balls, or even stuffed chew toys. Once you’ve found what motivates your Lab, you’ll find they’ll be begging to play fetch with you! Once they’ve chased the toy, reward and praise accordingly. Stop the game before they’ve tired of it, so they’ll be eager to play again next time. 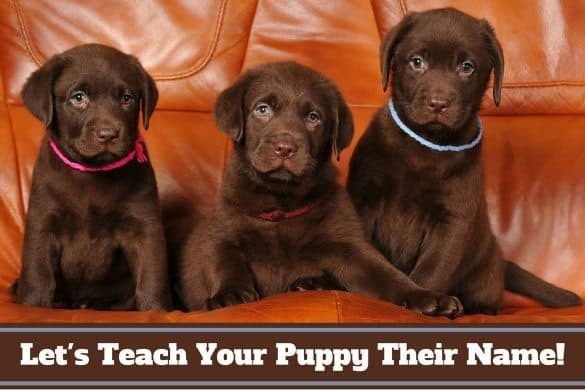 You can stimulate your Lab’s urge to chase even more by holding them back for a few seconds or restraining their leash. When you do finally let them go, they’ll be out of the starting gate like a racehorse! 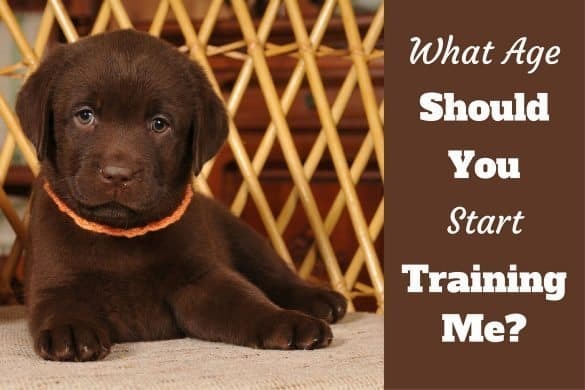 When it comes to your dog bringing the object back to you, you need to tap into your command training to tell your Lab to “bring” or come “all the way” – you could even use a clicker to help teach them the correct response to your fetch command. Just like any normal training, you’ll need to go slowly, and reward your Lab with treats and praise when they make progress. As with all dog training, consistency is the most important thing. 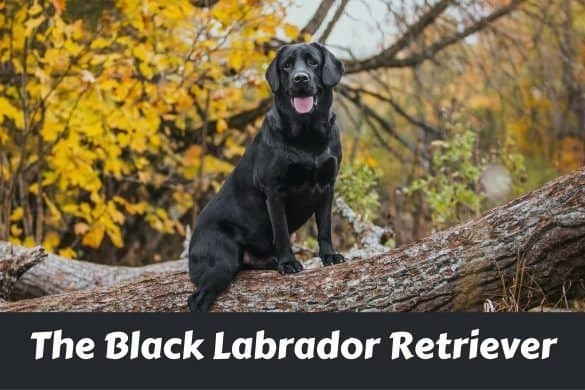 After a few retrieving sessions, your Lab should finally start to understand the point of fetch and should be excited to play with you. Why Do Dogs Lick Wounds? 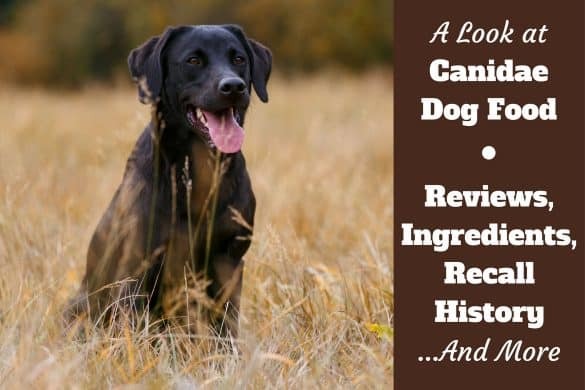 Is Dog Saliva Really Healing?